HMD Global, the home of Nokia phones has announced the sales start for the Nokia 3 – a stunning new smartphone designed to deliver an outstanding experience with unprecedented value. With a precision machined aluminium frame forged out of a single piece of aluminium, laminated 5 display with sculpted Corning Gorilla Glass and seamlessly integrated 8MP wide aperture cameras (front and back), the Nokia 3 packs a truly premium quality smartphone experience into its compact and elegant form. The Nokia 3 delivers Android in its pure form, giving you the ability to use your phone, your way. Nokia 3 will be available across top mobile retail stores in the country at a recommended best buy price of Rs. 9,499. 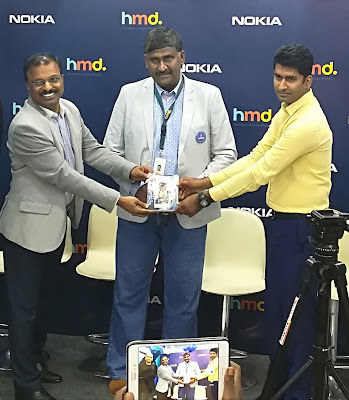 The company delivered the Nokia 3 to first consumers at Sangeetha Retail in Bangalore. The Nokia 3 has looks that will turn heads. With a precision machined aluminium frame, delivering exceptional structural integrity, and polycarbonate back, the Nokia 3’s robust design provides protection where it counts. Matte Black, Silver White, Tempered Blue and Copper White – the Nokia 3 boasts quality craftsmanship at an unprecedented price. Featuring a fully laminated IPS display with no airgap and sculpted Corning® Gorilla® Glass, the Nokia 3 screen offers durability and superb clarity delivering a viewing experience that is second to none. With fewer reflections thanks to the polarised screen, the experience is crisp and clear offering unbeatable visibility even in bright sunlight. The Nokia 3 has been designed to give a premium experience at an affordable price. The 8MP autofocus rear and front facing cameras have been balanced with large pixel size and aperture to deliver great images, particularly in low light situations. Combined with the exclusive camera user interface, to provide automatic scene detection, it is easy to take great shots every time. And with unlimited free cloud storage via Google Photos[i], you can snap all you want safe in the knowledge that every moment you capture can be automatically and securely backed up. Always Pure Android With the Nokia 3 you will have a pure Android experience for your device. With monthly security updates your Nokia 3 is safe, up-to-date as well as clutter-free – putting choice at the heart of the consumer experience. And with the latest Android comes the latest features including Doze, which saves battery life while the phone is stored. The new Nokia 3 features Google’s most recent innovation, the Google Assistant, building further on a great Android experience. Our teams have worked together to ensure conversations with the Google Assistant happen seamlessly on Nokia smartphones. 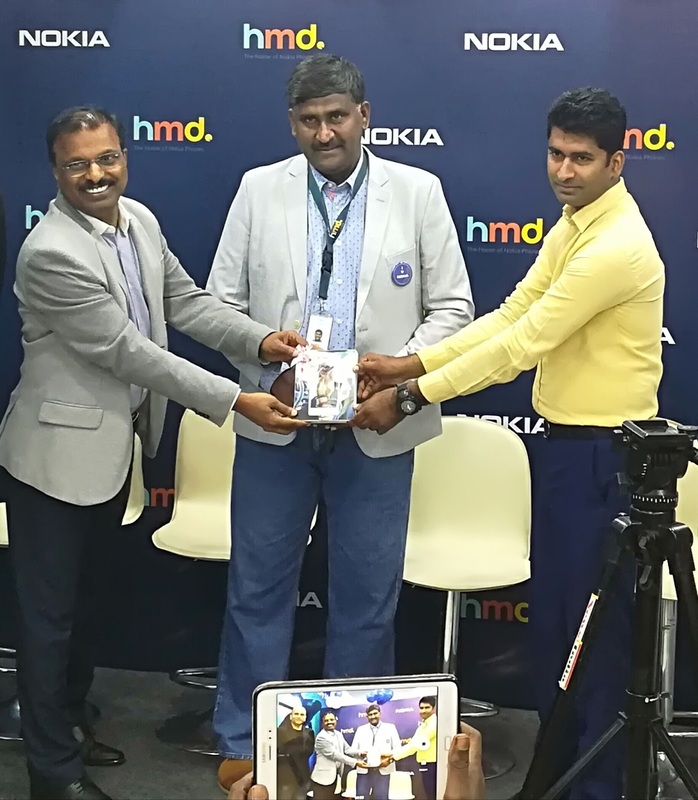 HMD Global has appointed over 400 distributors in India to support its range of smartphones and feature phones. Through this network, Nokia smartphones and feature phones will be available at more than 80,000 retail outlets across the country. We offer a range of accessories perfectly tailored to suit the Nokia 3. The Nokia Stereo Headset WH-201, with an in-ear design for passive background noise reduction and audio leakage prevention, has been specially crafted to suit the Nokia 3.